Perched high on the hillside, these secluded villas offer views of Elounda and the Aegean Sea from every room in the house. Each has a private pool, top-quality furnishings and state-of-the-art technology. These elegant Elounda villas feature a generously sized kitchen with 8-person dining table, large living room with 42-inch plasma TV and 3 or 4 bedrooms. All bathrooms have luxurious spa baths, and each bedroom has a TV and DVD player. Wi-Fi is free throughout. The private pools come with 4-jet water massage facilities and underwater sound system. The outdoor space of every villa includes a gym area, steam bath and sauna. Guests can engage in star gazing with the available telescope. Guests can hire cars and bicycles through reception. Tour services include private cruises with speed boat, or arrangements for private dining in the villa. 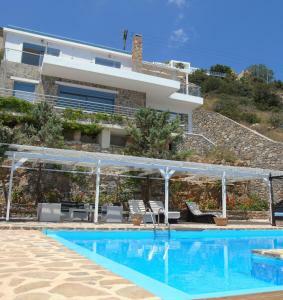 The Elounda Villas are located in PIgadakia, only 2.5 mi from restaurants, bars and shops. Agios Nikolaos is 3.7 mi away, and the center of Elounda is at 2.5 mi. On-site parking is available free of charge. 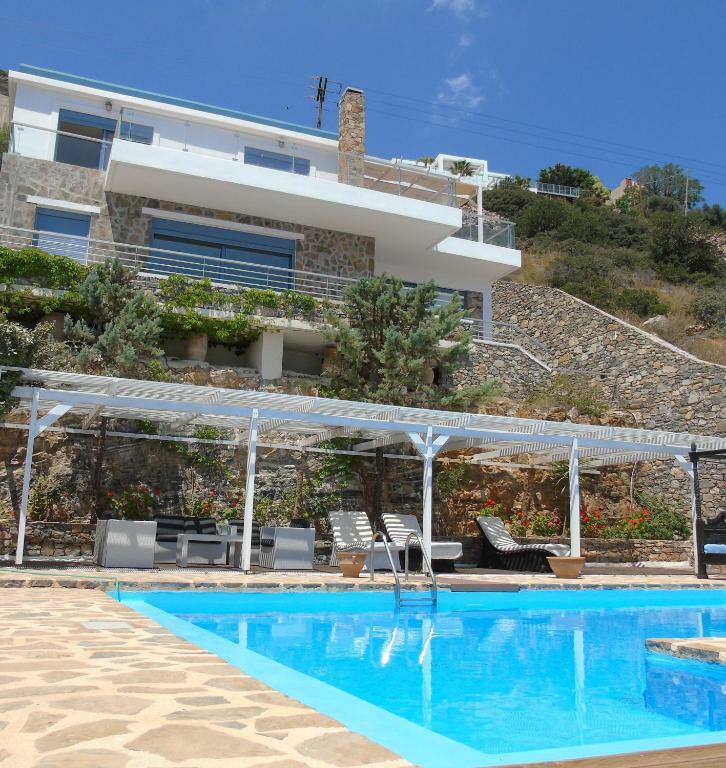 When would you like to stay at Elounda Villas? House Rules Elounda Villas takes special requests – add in the next step! Elounda Villas accepts these cards and reserves the right to temporarily hold an amount prior to arrival. We need at least 5 reviews before we can calculate a review score. 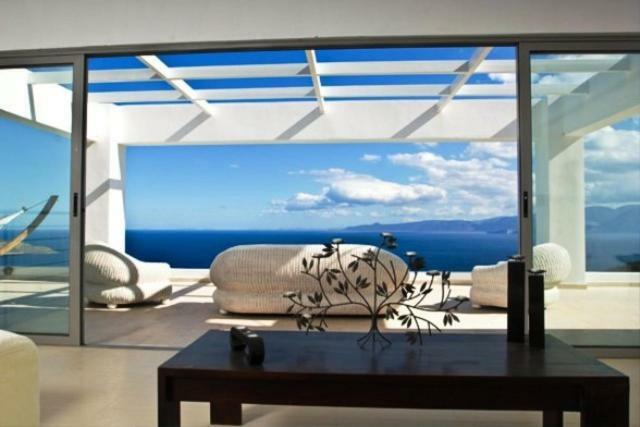 If you book and review your stay, you can help Elounda Villas meet this goal.